IMSA programme in the works? Mecachrome Motorsport has released the technical specification of its 2018 LMP1 engine, as well as hinted at the potential for it to develop an engine for use in IMSA competition. Mecachrome is entering the FIA WEC with a 3.4-litre turbocharged V6, though none of the five confirmed privateer teams have announced at the time of writing that they will use it for the upcoming 2018/18 ‘Super Season’. The V6 in the LMP1 will include a single turbo similar to the F2 engine. 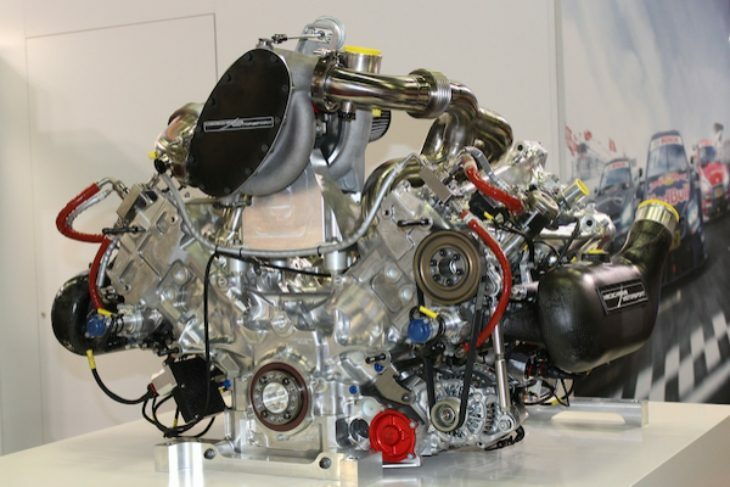 To optimise the maximum output, direct injection (250 bars) will be installed for the LMP1 engine. The turbo, combustion chamber, piston and engine valve will also be modified. Most of the engine components are produced internally at the Mecachrome factory in Aubigny sur Nère, France, with the exception of the valve spring (NHK, Japan), steel valve (Zanzi, Italy), and the piston and conrod (Pankl, Austria). 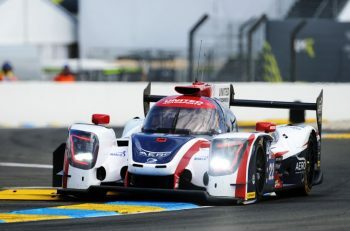 Alongside its LMP1 programme, Mecachrome is looking at the necessary modifications to build an engine (based on the 3.4-litre V6) for DPi use in the IMSA WeatherTech SportsCar Championship. 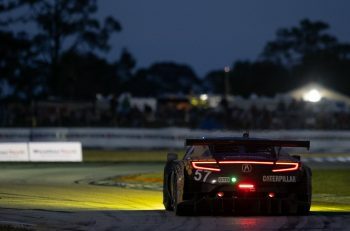 “Following a discussion with the IMSA management team, Mecachrome Motorsport now understand the technical specifications which would need to be matched if they were to use the P1 engine as a basis for a DPI project, and also the budget restrictions in which this would need to be achieved,” a Mecachrome spokesperson explaibed to DSC. Bruno Engelric, Mecachrome Motorsport Director, said: “The project for this new V6 engine started about two and a half years ago. We agreed to build new engines for the GP3 Series and FIA Formula 2 Championship, so when the LMP1 programme was launched, it was obvious that this engine would be the perfect basis. “Obviously, in the WEC LMP1 privateer class, we will have a lot of competition, so we really have to push the limits. We’ve had to adapt many aspects of the Mecachrome engine and aren’t limited by rules – our development is only restricted by whatever the team we’re supplying’s budget is. “The single turbo will be in the centre of the “V”, and will be very different to the one used in F2. We investigated the possibility of running a twin-turbo, but because of the size of the engine we believe that just one large one will be best. The 2018/19 FIA World Endurance Championship gets underway with the 6 Hours of Spa-Francorchamps on 5 May 2018, followed by the 86th edition of the Le Mans 24 Hours on 16-17 June. • High strength aluminium, fully machined crankcase, sump, timing drive cover and cylinder head covers.